A love triangle among two college friends and a charismatic professor alters the lives of everyone involved in this razor-sharp novel from an author whose work has been hailed as “captivating” by J. Courtney Sullivan, author of Saints for All Occasions. Fiona and Liv are seniors at Buchanan College, a small liberal arts school in rural Pennsylvania. Fiona, who is still struggling emotionally after the death of her younger sister, is spending her final college year sleeping with abrasive men she meets in bars. Liv is happily coupled and on the fast track to marriage with an all-American frat boy. Both of their journeys, and their friendship, will be derailed by the relationships they develop with Oliver Ash, a ruggedly good-looking visiting literature professor whose first novel was published to great success when he was twenty-six. But now Oliver is in his early forties, with thinning hair and a checkered past, including talk of a relationship with an underage woman—a former student—at a previous teaching job. Meanwhile, Oliver’s wife, Simone, is pursuing an academic research project in Berlin, raising their five-year-old son, dealing with her husband’s absence, and wondering if their marriage is beyond repair. 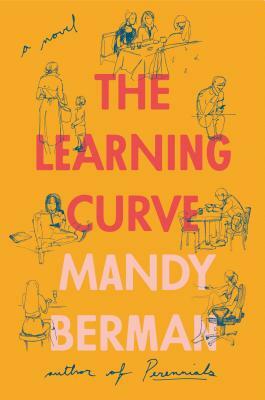 This sly, stunning, wise-beyond-its-years novel is told from the perspectives of the three women and showcases Mandy Berman’s talent for exploring the complexities of desire, friendship, identity, and power dynamics in the contemporary moment. Mandy Berman is the author of Perennials. She holds an MFA in fiction from Columbia University. She lives and writes in Brooklyn.